Lumps, bumps and weird cottony fluff on your plants are more than just some strange coincidence, they’re probably soft scale insects! Don’t worry, we have the answers to your burning soft scale questions. 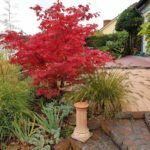 Plants that are droopy, yellowing or have developed sticky spots and black mold on leaves can be really alarming to find in your landscape or garden. These are plants that look to be on the brink of immediate death, but things aren’t always that straightforward. 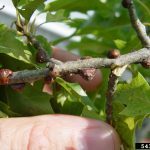 If your plants are sagging and looking terrible, it may not be a terminal plant disease, but soft scale insects to blame. 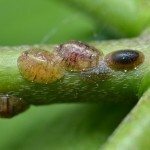 Soft scale insects are relatively large sap-sucking insects, measuring a tenth to a quarter of an inch long (two to six millimeters), with a distinct protective covering firmly attached to their bodies. Some mimic their surroundings, others produce a waxy coating that can make them resemble fluffy insect casings. They come in a range of colors and sizes, but they all result in the same kinds of problems. Soft scale feed directly from the vascular systems of host plants, which can quickly result in a plant that looks like it’s not feeling so hot. Drought stress can speed up the plant’s decline, since it’s fighting these soft scale insects for liquids. One of the most distinguishing features in determining soft scale versus armored scale infestations is the production of copious amounts of clear, sticky liquid called honeydew. Only the soft scale bugs produce this liquid, which tends to drip on leaves and objects below it. This sets up a dangerous cycle, because the sweet liquid attracts both ants and a non-pathogenic fungus called sooty mold. Often, ant infestations are among the first signs of soft scale. These smart, industrial insects have actually been known to use soft scale insects as a means of farming honeydew, just as they do with aphids. Ants will tend them lovingly and then harvest the fruits of their labor for the ant colony. Because soft scale can’t move, their ant partners will move them to more promising plants or to uninfested parts of the existing host, creating a huge problem for the plant owner. Destroying soft scale is a relatively easy process, except for those ants. If you’re seeing ants in the same plant as the scale bugs, you’ll have to get the ants under control at the same time that you treat the invaders. Otherwise, the ants will rush in to save the soft scale insects and move as many as possible to a new, safe location. Baiting and applying a sticky barrier to affected plants will rid you of the ants, making it easier to control the scale. Neem or horticultural oil sprays are recommended to get the scale themselves under control. This way, the predators of scale insects are largely preserved and can help to keep more scale from invading. Always test foliage before spraying your entire plant with any sort of oil. Phytotoxicity can occur, though it is unlikely if your plant is well hydrated.